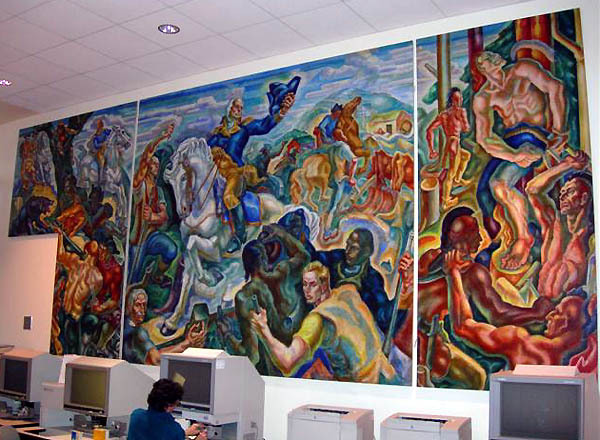 Originally painted for the Greenwich Town Hall, this mural was displayed for nearly 60 years in the Hamilton Avenue School in Greenwich. It was removed in 1998 and restored. It is now in the Greenwich Library but is scheduled to return to the Hamilton Avenue School when its renovation is completed. Thanks to Kathleen Ryan who contributed the information! Thanks to Jimmy Emerson who contributed the photographs!